Assessments by psychologists, educators, and other human-service professionals too often end with the client being reported in terms of scores, bell-shaped curves, traits, psychodynamic forces, or diagnostic labels. Individualizing Psychological Assessment uses these classification devices in ways that facilitate returning from them to the individual's life, both during the assessment session and in written reports. The book presents an approach and procedures through which a person's actual life becomes the subject matter of assessment. Thoroughly revised from the previous edition, the book presents a wide range of concrete examples and illustrative cases that will serve both students and practicing professionals alike in individualizing assessments. Preface. Foreword. The Context and Practices of Individualized, Collaborative, Therapeutic Assessment. A History of the Individualized/Collaborative Approach. Overview of Individualized Practices and Report-writing. Beginning the Individualized/Collaborative Assessment. Assessing Process. Report Writing and Sample Reports. Writing Individualized/Collaborative Reports. University Psychology Clinic Reports. Psychological Reports of Children and Youths. Clinical and Diagnostics Reports of Adults. Some Psychological Topics Reconsidered. Further Aspects of Individualized/Collaborative Assessment. Teaching and Learning Individualized/Collaborative Assessment. Description as Re-presentation: The Art of Andrew Wyeth and of the Psychologist Assessor. Theoretical Foundations: Questions and Responses. Appendix A: Assessor’s General Checklist. References. Name Index. Subject Index. 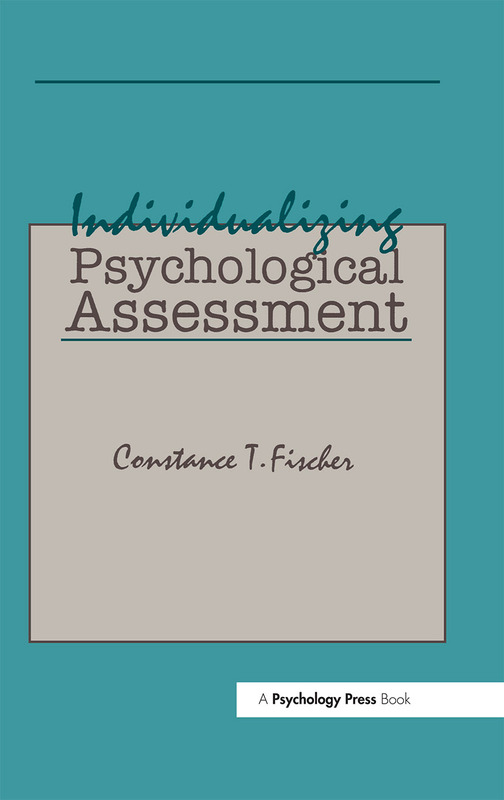 Constance T. Fischer, PhD, ABPP, is professor of Psychology at Duquesne University and Director of the Pittsburgh Assessment & Consultation Center. She is the author of numerous publications on psychological assessment, qualitative research, and human science approach to psychological issues. She is a fellow of the American Psychological Association and of its divisions of Clinical Psychology, Independent Practice, Philosophical & Theoretical Psychology, and Humanistic Psychology.